Members of American Legion Post # 78 begin the new millennium by presenting Houston Independent School District with authentic reproductions of the Declaration of Independence. 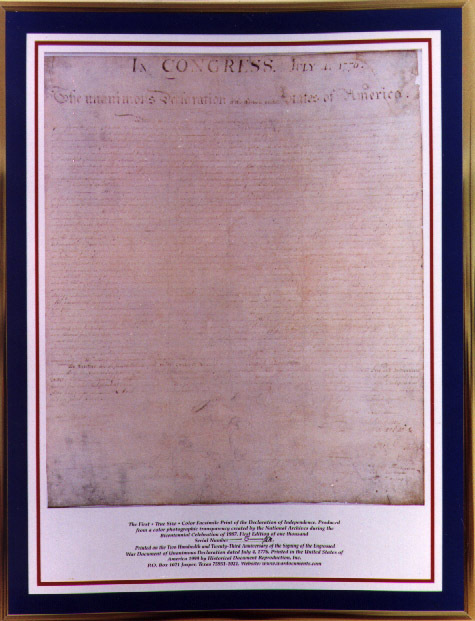 These copies of the Declaration are scheduled for placement in all HISD high schools. 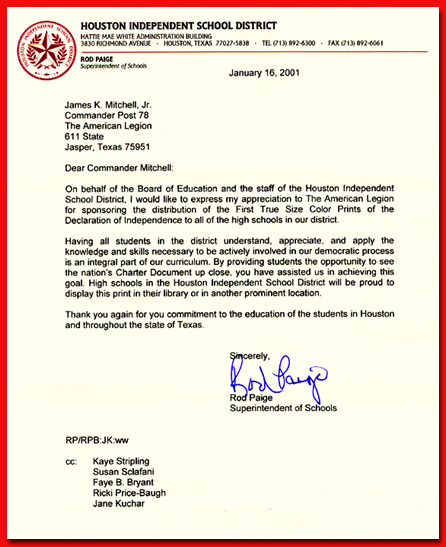 A letter of appreciation was received, signed by Rod Paige, now Secretary of Education of the United States.